He also appeared to revive his threats of nuclear war. President Donald Trump on Thursday announced that the highly anticipated summit with North Korean leader Kim Jong Un will no longer take place. 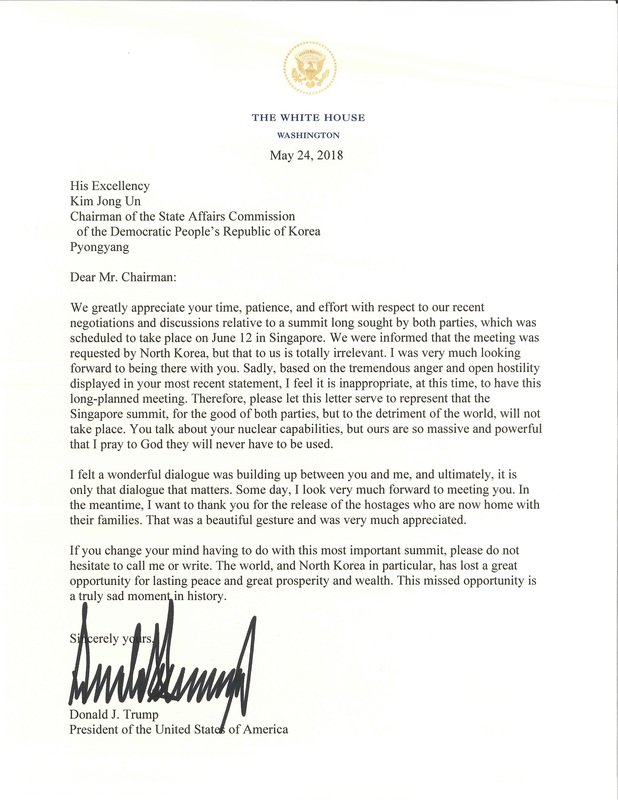 In an open letter, Trump described it as “inappropriate” to proceed with the meeting in light of recent provocations by the North Korean leader. “Sadly, based on the tremendous anger and open hostility displayed in your most recent statement, I feel it is inappropriate, at this time, to have this long-planned meeting,” he wrote. Continuing his past statements touting the US’s nuclear capabilities, the president also appeared to threaten North Korea once again with the prospect of nuclear war. The planned meeting had been set for June 12 in Singapore.